Mr. Porcarelli is a Partner in The Law Offices of Frank F. Daily, P.A. He was born in the Bronx, New York. He obtained his Bachelor of Arts from Syracuse University College of Arts and Sciences in 1987, and his Juris Doctor from Syracuse University College of Law in 1990. As a result of his trial work and competitions during his academic career, he was inducted into the National Order of the Barristers in 1990. Mr. Porcarelli was admitted to the Maryland Bar in 1990, the United States District Court for the District of Maryland in 1991, and the United States Supreme Court in 1997. His active memberships include: The Maryland Bar Association, The American Inns of Court – J. Dudley Digges Chapter, where he currently serves as Secretary, Maryland Defense Counsel, Inc., The Claims and Litigation Management Alliance, and the International Association of Defense Counsel. In addition, Mr. Porcarelli was appointed to the Attorney Grievance Commission of Maryland, Peer Review Committee, in 2016, and will serve on that Committee through June, 2020. During his twenty-five plus year career, Mr. Porcarelli has served as trial counsel of record in the Maryland state district and circuit courts, the United States Federal District Court (Northern and Southern Divisions), the Maryland Court of Special Appeals, and has argued before Maryland’s highest appellate court - the Maryland Court of Appeals. Additionally, he has served as trial counsel of record on a pro hac vice basis in New York, Delaware, and the District of Columbia. Mr. Porcarelli specializes in the defense of individual and corporate clients in the areas of personal injury, premises, environmental, and products’ liability litigation. He has tried in excess of 100 matters in various administrative, trial, and appellate forums, and has delivered presentations and lectures for clients and various in-house and private organizations. 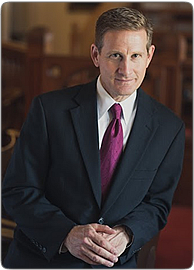 In 2015, he was awarded an “AV Preeminent ®” designation by Martindale-Hubbell ® – a rating awarded only to those members of the Bar who have demonstrated “the highest legal and ethical standards” and have attained “the pinnacle of professional excellence earned through a strenuous Peer Review Rating process".